Gorgeous beauty Tamannaah won everyone’s praise for her de-glamorous ​role in the last year’s hit Tamil film, Dharma Durai. According to the latest reports, Tamannaah is once again going de-glam for her next film. Apparently, Tamannaah will be sporting a natural look sans make-up in the Hindi remake of Nayanthara’s upcoming Tamil murder mystery, Kolaiyuthir Kaalam. 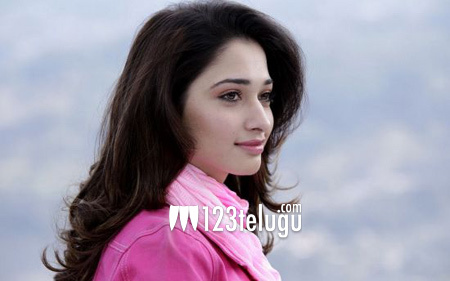 Tamannaah will be seen in a deaf and mute lady’s role in the​ film. Yuvan Shankar Raja, Vashu Bhagnani and Deepshikha Deshmukh are jointly producing this as-yet-untitled movie, while Chakri Toleti is directing it. Bhumika Chawla and Prabhu Deva will also be seen in important roles.